Description of "The Man Shunned"
Wifus and Kidsus leave our man to fend for himself for an entire day in life threatening conditions. Faced with having to deal with harsh weather and with near-zero food supply, he battles to survive against all odds. Does he live to see another day? I am Ramanujam (Ram), An agile coach by day and a writer by night. I write contemporary fiction. 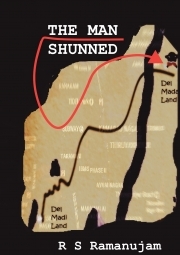 Reviews of "The Man Shunned"